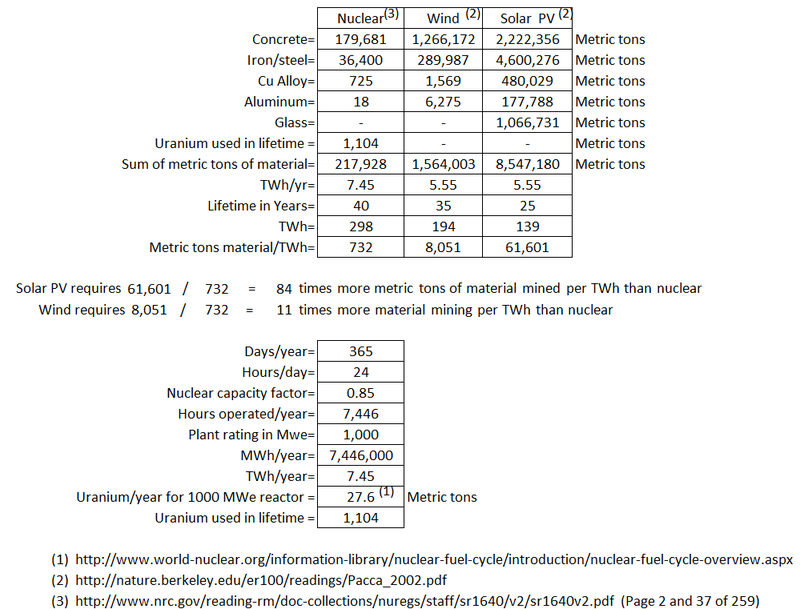 Below I offer a few thoughts on a mind-numbing article by Jon Talton found in the Seattle Times originally titled Nuclear Energy Fears Exceed Its Benefits. Really? Isn’t that a rather sensationalist, not to mention, disingenuous remark? How will assorted pieces of irradiated junk buried in the ground as a result of cold war nuclear weapons production harm anybody not standing in close proximity to it? At one time, the site had nine nuclear reactors. Those were devices to produce weapon’s grade plutonium, not to be confused with commercial nuclear power stations. The University of Washington had a nuclear reactor for many years as many large universities still do. A nuclear reactor is not a nuclear bomb or a nuclear power station. The reactor is only the source of heat for nuclear power stations. But don’t look for a major surge in U.S. nuclear power anytime soon. Part of the problem was revealed in last week’s Hanford incident. Actually, waste storage isn’t part of the problem with the building of nuclear power stations. No nuclear power station has been closed because a long term storage facility isn’t available yet. Inside the collapsed tunnel was radioactive waste buried inside rail cars, no doubt some of it from Hanford’s reactors. The same issue applies to modern commercial reactors. They haven’t released carbon into the atmosphere, but they have left 75,000 metric tons of spent fuel in the United States alone. And that waste can be deadly for 250,000 years. Your parroting (without application of any critical thought) of dog-eared antinuclear rhetoric does your readers (and the effort to slow global warming) a disservice. Toxins like lead and arsenic are deadly forever (they don’t have half-lives). The longevity of any given waste isn’t the problem, keeping it out of the environment is what matters and no other power source is as good at doing that as nuclear. By that you mean it could actually have killed somebody with radiation? The failure of any major hydro dam is much worse. You all-too conveniently failed to mention that there were no radiation related fatalities. That’s deception by omission. …and it happened in an advanced nation, not the backward Soviet Union, where a shoddy reactor design caused the catastrophic 1986 Chernobyl disaster. That’s right. Three simultaneous meltdowns in Western designed reactors resulted in not a single radiation related fatality. Before Fukushima, some major environmental organizations had been considering support for nuclear power because of climate change. Afterward, that embrace was largely dashed. Did you just make that up? Is that why you didn’t provide a link? Several new pronuclear environmental organizations have come into existence over the last decade, including some since Fukushima. And I have lots of links to back that up should you fail to find them with a Google search. But such is the power of nuclear in the American mind that it holds a special claim on fear. Fear of one of the safest forms of power production thanks in large part to the endless, uninformed, lay press articles like yours. And you’re deliberately overstating the case. Cautious would be a much better word than fear, although fear mongering has been the number-one fund raiser for antinuclear environmental groups, with lots of help from misinformed lay press articles. Below is a recent poll result. That’s not the case in many other nations moving ahead with nuclear generating stations, including China. 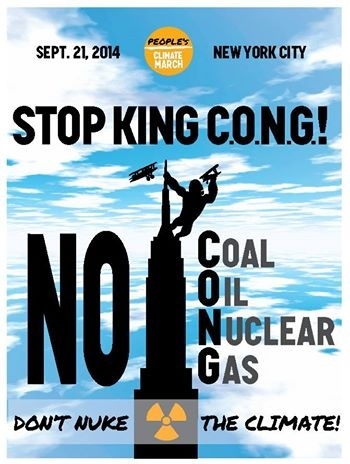 There is no waste disposal challenge, only deliberate hindrance of an inevitable solution by antinuclear groups as part of their antinuclear strategy. Look at the complexity of that cockpit in Figure 3 and nuclear power stations don’t have to fly. The components of a nuclear power station are essentially the same as for any steam thermal power station: turbines, generators, condensers, transformers and on, and on. The main difference between them is their energy source: nuclear fission instead of geothermal, solar thermal, gas, or coal. 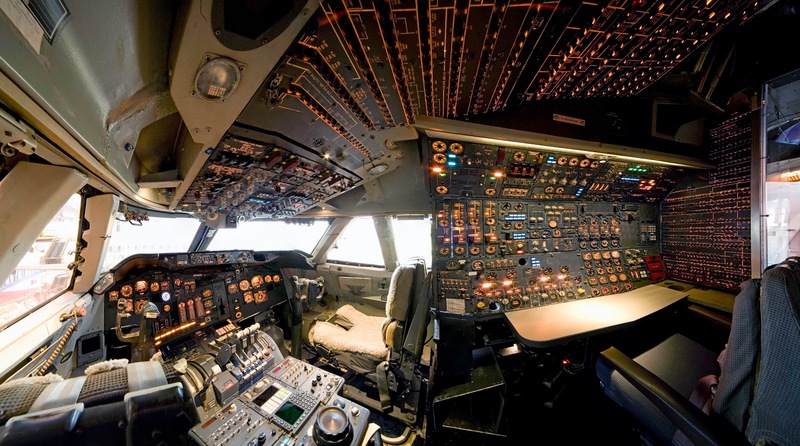 They are not nearly as complex as the airliners you fly on. ….prone to repeated delays and in most cases prohibitively expensive. The delays are the cause of the expense, and the delays are typically exacerbated by changes mid-design and build required by your “nuclear friendly” NRC. The cost to build nuclear varies from country to country around the world. The United States lost the expertise to build it cost effectively while coal and gas plants were built instead, and has to learn how to do it all over again. Combine that with new regulations from the NRC after design and construction, and you get delays and the associated cost overruns. That isn’t the case everywhere else in the world, China and South Korea for example. The 2013 start of construction for a station in South Carolina, the first completely new installation to begin in three decades, required billions in loan guarantees by the Obama administration. Again, by excluding mention of the billions of dollars worth of loan guarantees for renewable energy projects as well, you have deceived your readership by omission. Yet Watts Barr 2 was shut down in March, only five months after going online for commercial operation, because of a mechanical problem. It could be offline for months. And yet again you deceive your readers by suggesting that the shutdown was the result of it being a nuclear power station instead of the result of failed transformers which are used by all forms of power stations. As Michael Hiltzik of the Los Angeles Times reported, the NRC also criticized the TVA for its “chilled work environment” at Watts Barr. That means employees fear raising concerns about safety and compliance with regulation. Meanwhile, renewables such as wind and solar are becoming more effective and cheaper. Only wind and solar have seen cost reductions. That’s not the case with any other renewable and the cost effectiveness of wind and solar eventually reverses as the cost of integrating sporadic energy sources exceeds their lower operating costs. Look to the German experiment for confirmation of that effect. 1) A study by German economist Lion Hirth (pro-renewables and pro-nuclear):“...the value of wind and solar declines as they become a larger percentage of the German grid." 2) From the United Nations Renewables 2016 Global StatusReport (pro-renewables and pro-nuclear): “The more that solar PV penetrates the electricity system, the harder it is to recoup project costs. 3) From David Roberts (antinuclear): "As they grow, wind and solar hit economic headwinds." 4) From the NREL (pro-renewables): "Still higher levels of variable renewable energy generation [wind and solar above 30%] is technically feasible but could test the economic carrying capacity of the U.S. power grid." 5) From MIT (pro-renewables and pro-nuclear): "...even if solar generation becomes profitable without subsidies at low levels of penetration, there is a system-dependent threshold of installed PV [and wind] capacity beyond which adding further solar generators would no longer be profitable." 6) Jesse Jenkins (pro-renewables and pro-nuclear): "Instead, the fundamental economics of supply and demand is likely to put the brakes on VRE (variable renewable energy) penetration." 7) From John Morgan (pro-nuclear and pro-wind) "The “CF% = market share” boundary is a real limit on growth of wind and solar. Its not impossible to exceed it, just very difficult and expensive. It's an inflexion point; bit like peak oil, its where the easy growth ends. And the difficulties are felt well before the threshold is crossed. I’ve referred to this limit elsewhere as the “event horizon” of renewable energy." Lacking a breakthrough out of science fiction, it’s difficult to imagine nuclear making new inroads in America’s energy mix. Riiight ...science fiction. Not so difficult to imagine that contracting with the likes of South Korea, as the UAE did, to build our nuclear would make it one of the lowest cost sources of energy. Keeping what we have safe will be enough. Obviously deeply uninformed on energy issues and biased against nuclear energy, on what authority would a journalist make such a claim? It is thanks in large part to this kind of mind-numbingly repetitive and uninformed copycat antinuclear lay press journalism, which has created, and continues to propagate a negative image of what has been the world’s second biggest source of low carbon energy next to hydro (one of the most environmentally destructive forms) for the last half century, that we are making no progress towards reducing global warming. Claimed that used commercial reactor fuel was deadly and more long lived than any other deadly and even longer lived waste products that don’t have half-lives. Claimed that nuclear power stations are overly complex. Claimed that construction of more nuclear power in the U.S. would be the stuff of science fiction. Claimed that more nuclear power is not necessary to fight climate change. Claimed that the lack of an approved long-term storage repository for used commercial nuclear power station fuel in the U.S. is a reason for not building them. 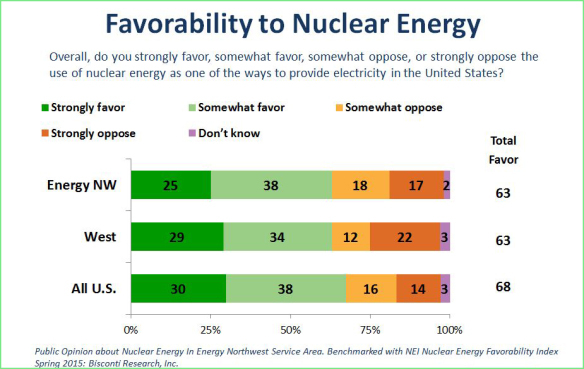 Claimed that Americans have “a special claim on fear” of nuclear energy when polls show otherwise. Failed to mention that renewable energy projects also receive government loan guarantees. Failed to mention that Fukushima did not result in a single radiation related fatality. Failed to mention the point of diminishing returns by sporadic power sources as their percent penetration into a grid approaches their capacity factors. Insinuated that the recent shutdown of Watts Barr 2 was the result of it being a nuclear power station instead of the result of failed transformers (part of the transmission grid). Insinuated that the discovery of a collapsing tunnel containing irradiated machinery was an emergency that should concern more than the workers at that site. Insinuated that new nuclear power stations are excessively expensive in all places around the world.